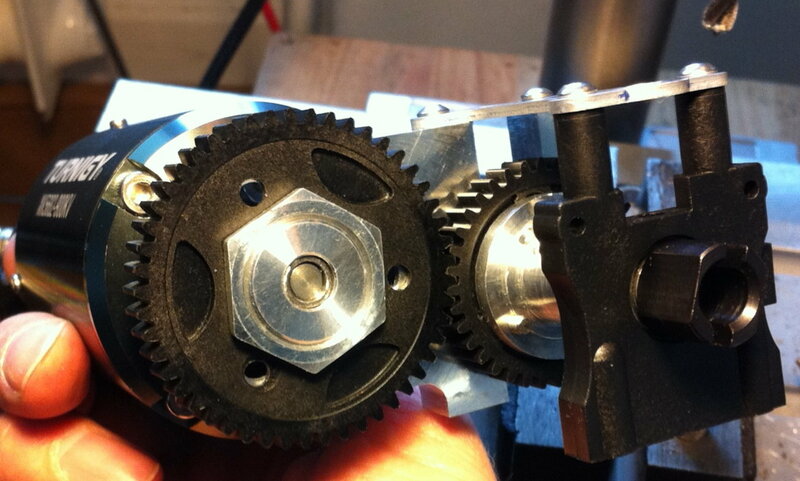 XO-1 spur-to-pinion adapter that includes the "Cush Drive"? The problem is that the tap isn't meant for these hard materials; it literally pushed the part apart, rather than cutting it away. Without a special tap, i would cut a 2.7mm hole for tapping. (requires less force to cut the thread) The threads will be less deep, but considering the hardness of the material you don't need to worry. I sometimes use an oversized drill for the tap in aluminum that's less 'willing' to be tapped. With tough materials I use cheap (conrad, lithium) grease instead of oil for cutting. Hi guys, thanks for the feedback! I don't know much of metals, but the grainy texture inside means it's sintered I think. Best bet is probably drawing up the part I want and having it made by a CNC service, like Lizard suggested earlier.Do you guys have a recommendation for a good CAD tool for someone without prior CAD experience? Sketchup any good? @Serum, I would actually like the idea of the cushdrive to have some drivetrain cushening, but you might be right that it will cause wobble. Maybe I just have to settle with the tire-surface contact as the only cushening :). As long I haven't gotten the XO-1 cushdrive spurs to work, I will be using the OFNA DM-1 spur mount. Those spurs go up to 49T. Later I found the OFNA GTP spurs go up to 51T, but they use a different mounting system. For now I think I'm good with the 49T as that allows gearing between ~150-180 kph nominal no-load with the gears I have, and I'm not sure if the batteries and motor can do much more anyway for continuous use and whether I find enough space to actually use those kind of speeds. @Lizard, did you try the motor yet in your XO-1? Last edited by Dr_T; 04.01.2015 at 06:57 AM. But now you're limited to a 49t pinion,do you still want to go with the 54t in the long run? Yes, you are right; it is sintered material. For CAD, i use solidworks. don't know enough about sketchup..
Last edited by Serum; 04.01.2015 at 07:31 AM. Thanks, I'll look into Solidworks. I don't really think 54T is necessary anymore. The need for the big pinion is very specific for the low RPM (900kv, 6S max) of this motor and I could still go a bit down on the spur, to loads that are probably way beyond what the motor will be happy with. I just thought it would be cool to have the cushdrive thing. Below's an updated gearing matrix, listing no-load wheel-speed (in kph) at nominal Voltage. I need at least 39 mm shaft-to-shaft distance or the motor will rub the rear chassis brace, so red cells are out of the question. 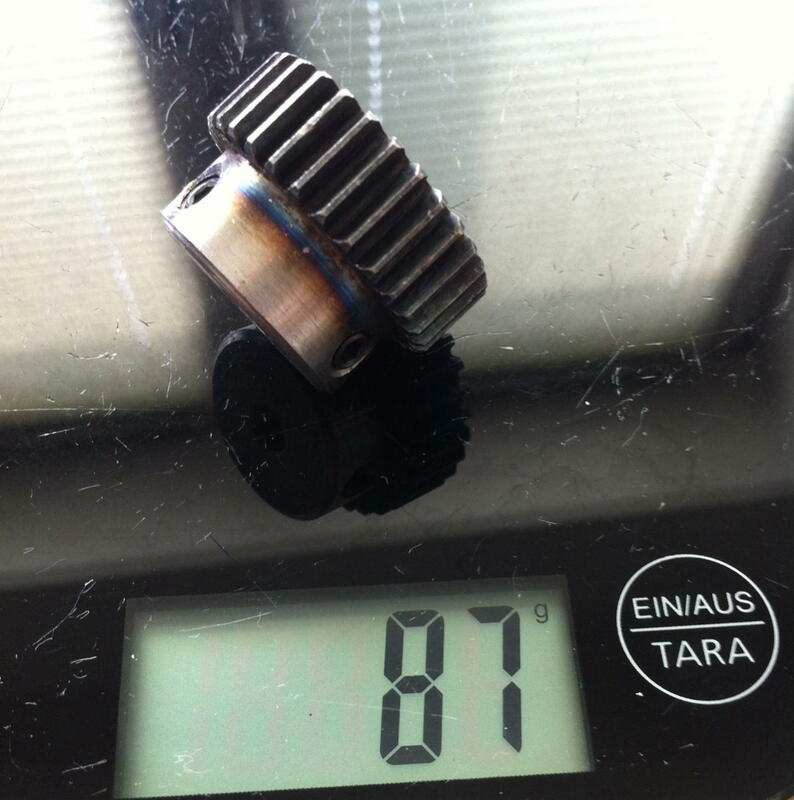 I already have the Aliexpress 30T 6 mm bore pinion, but it's just a huge and clumsy chunk of steel, weighing a whopping 87 g, which is a bit more than I like (complete spool with 36T plastic gear only weighs 56 g). 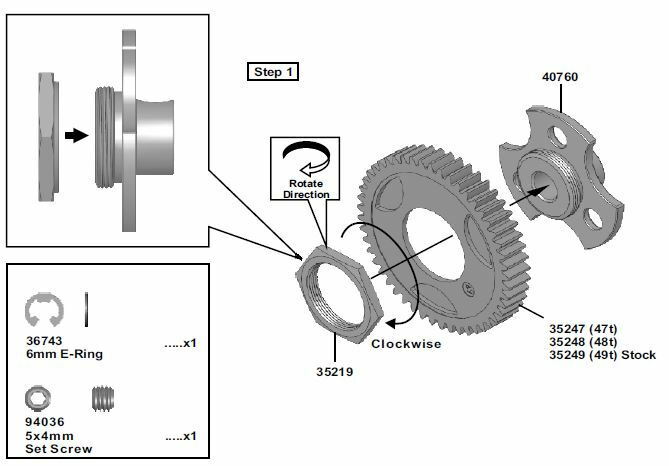 I might also try and bore out a 29T XO-1 pinion I have laying around, material is the same as the cushdrive key, so at least I know what I'm getting myself into :). 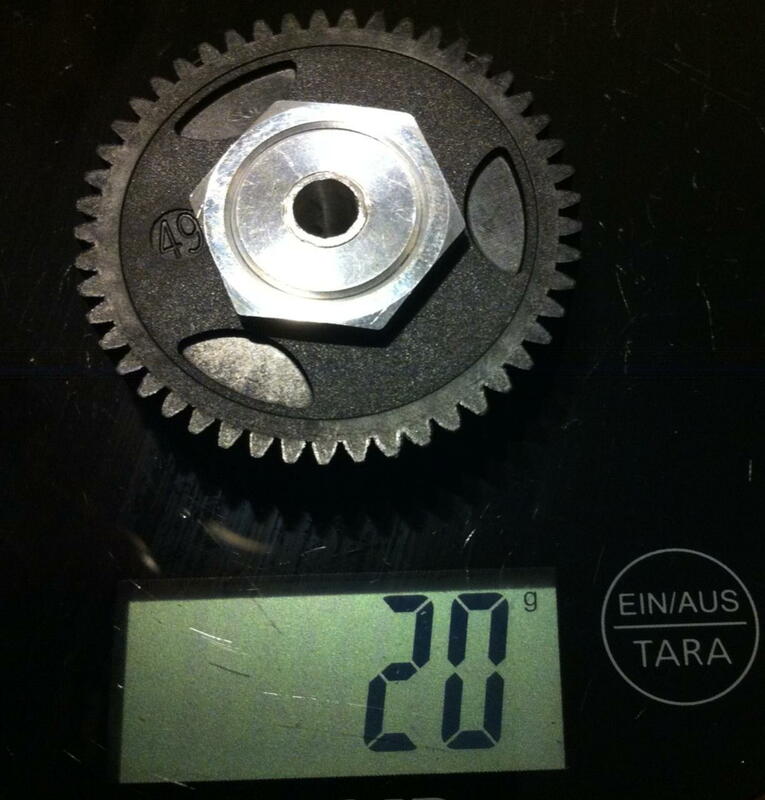 Kershaw also has some 8 mm bore pinions that would work on the spool shaft with a bore reducer, but he charges $20 intl. shipping even on that small stuff, so that would mean a $40 pinion, which I would like to avoid. Last edited by Dr_T; 04.01.2015 at 10:05 AM. When you're new to solidworks, just go through the tutorials. It works miracles. Don't worry too much about the weight. it's aerodynamics that's your concern at these speeds. 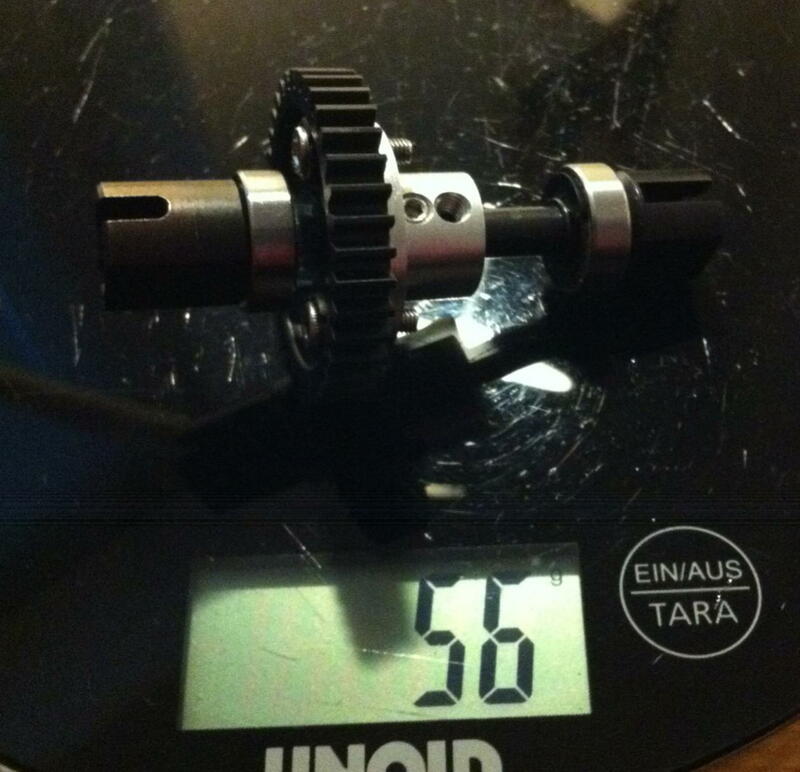 The weight of the pinion won't affect your topspeed; it's neglectable in regards to the drivetrain/drag. If you want, you can ship it to me, and i can cut of the largest chunk of that useless collar..
Yeah, I just want to make it as easy on the powerplant as can be, main goal is to have a fast car that can finish a pack without overheating. But you're right, in total the weight of that pinion plus spool shaft will be in the order of a normal center diff with steel gears. Thanks for the offer! I appreciate that and will keep it in mind. I had some good experiences with LiquidRC before, always good prices and fast shipping to EU.